Chili is one of my favorite dishes of all time. However, the sluggish feeling you get after eating such a heavy dish is not. I spent many nights slyly adding “Lord, please bless this earth with healthy delicious tasting chili,” into my prayers. Finally, my pleas were heard by “Tasty Bite,” as they gave me the staple to create one of the easiest and quickest meals I’ve ever created! Just as the box says, it takes 90 seconds to zap up some chili and even if you have to slave over opening all the other cans included in this recipe the longest you should still have to work on prepping this meal is about 4 minutes. 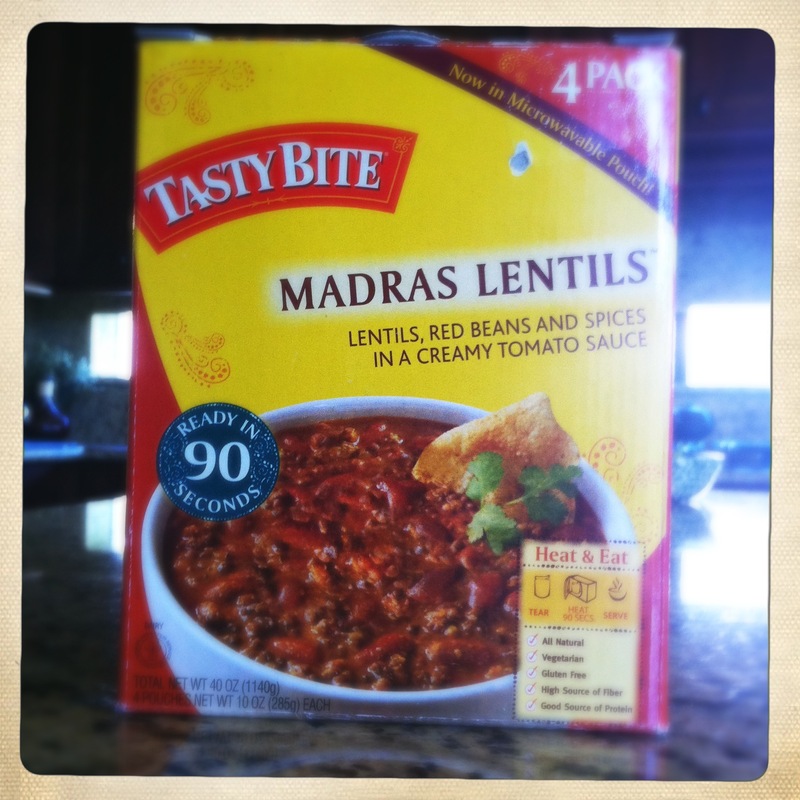 The most difficult part is locating the Madras Lentils. The box looks like this and can be found at Costco. Since it is such an easy dish to make, I make mine as a single serving each time I get a debilitating craving for chili. 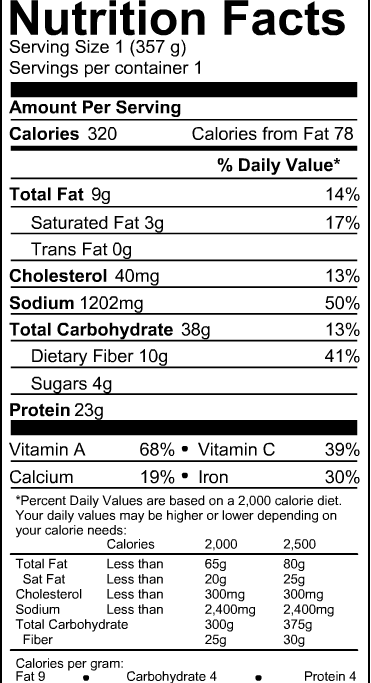 Therefore, all the following information is based on a single serving. Place half a packet of Madras Lentils, half a can of chicken and lima beans in a microwave safe bowl and microwave on high for 60-90 seconds. Add tomatoes and spinach to hot chili. See, quick and easy! For more flavor feel free to add Greek Yogurt as sour cream! Note: Be wary of portion control! One full packet of Madras Lentils is actually 2 servings and one can of chicken is actually 2 and a half servings…you will be doubling your calories if you use the entire packet and can of chicken! 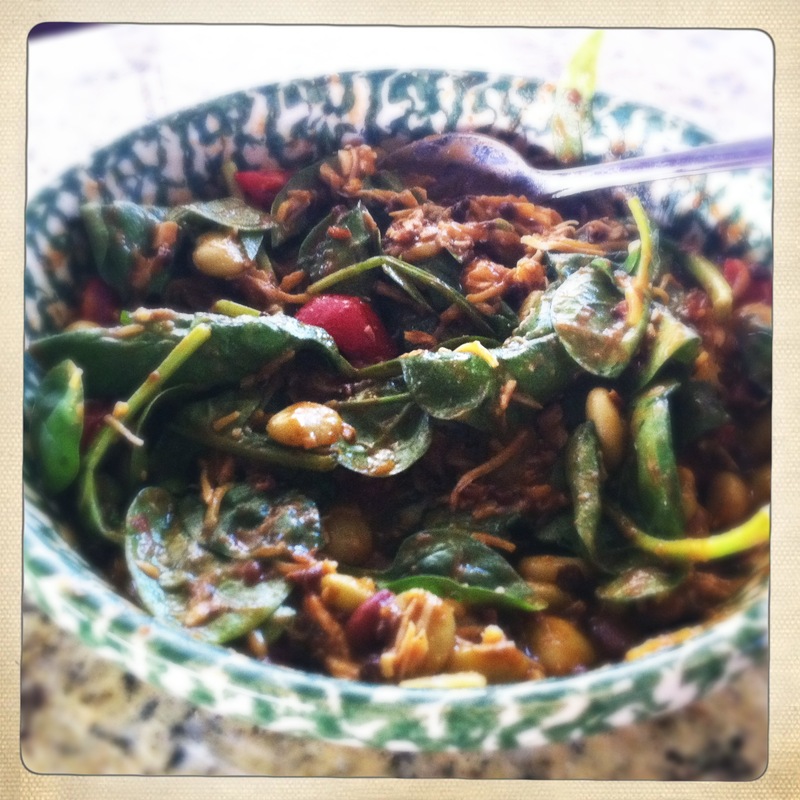 Gallery | This entry was posted in Recipes and tagged chili, Diet, healthy, Lentil, meals, nutrition, receipes. Bookmark the permalink.